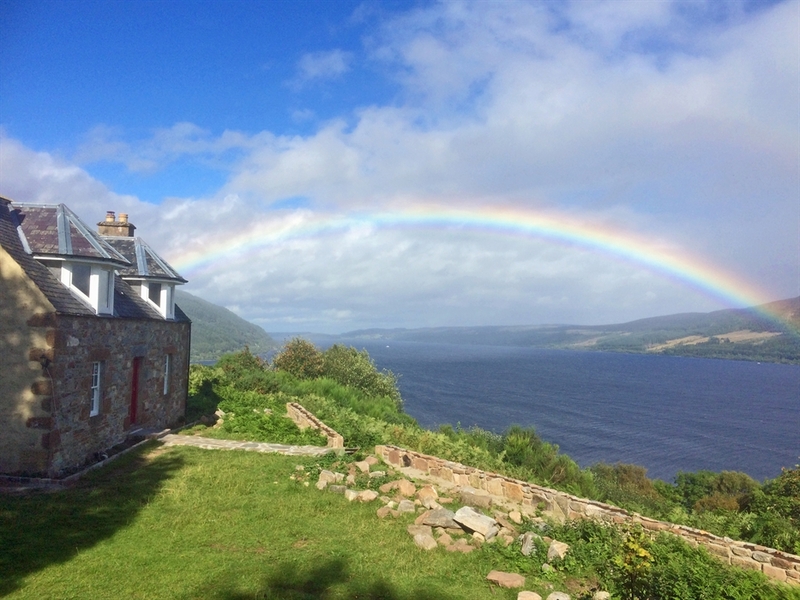 Set on a breathtaking, elevated position above Loch Ness overlooking Urquhart Castle, Strone Castle Cottage is a beautiful croft house that has been lovingly restored in 2017. 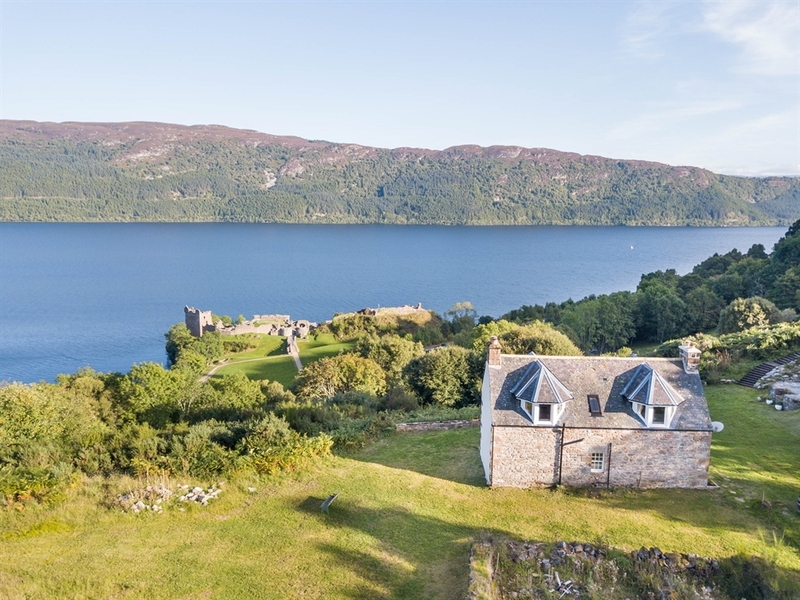 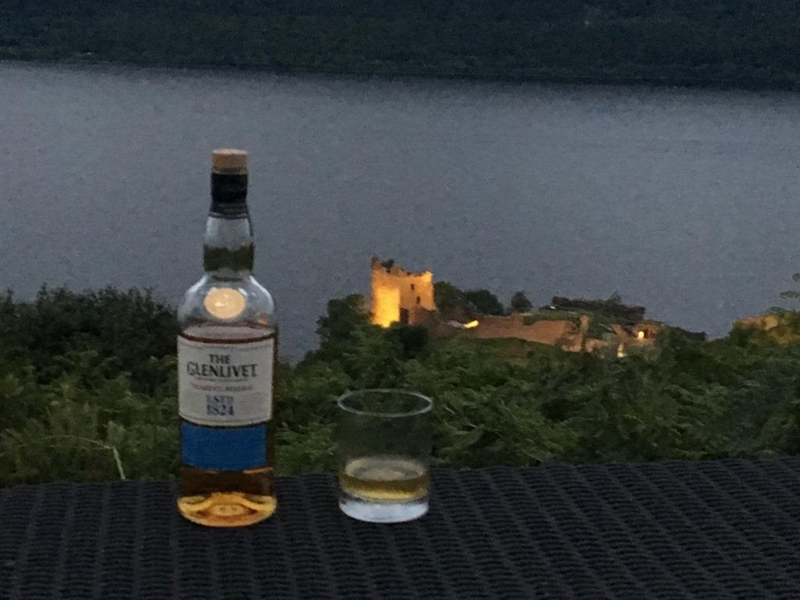 Set in what can only be described as a spectacular, secluded, elevated position above Loch Ness, directly overlooking the historic Urquhart castle “Strone Castle Cottage” is a charming property fully refurbished in early 2017 with some of the most picturesque views we have ever seen. 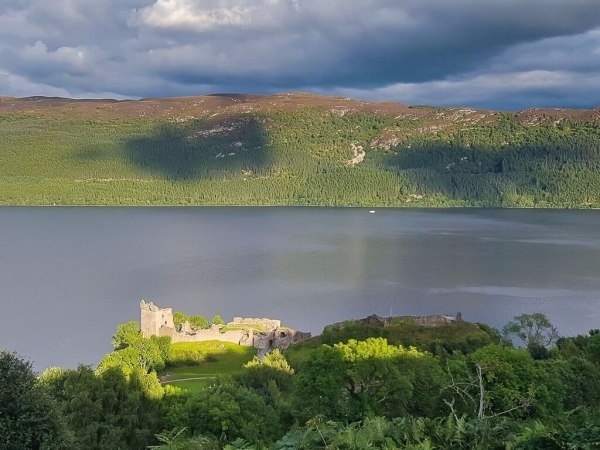 Several Loch Ness television documentaries have been filmed from the property over the years due to its unique vantage point overlooking both Loch and Castle, the most recent being Channel 5s documentary on the monster “Conspiracy: The Missing Evidence” in November 2014. 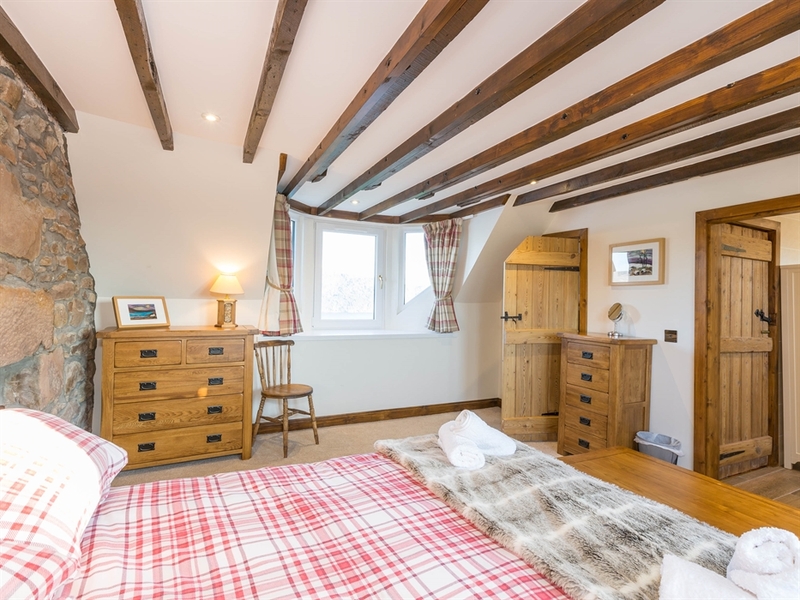 The property has been lovingly restored from a derelict building to a stunning, sympathetically remodelled cosy two up two down but’n‘ben croft house sitting high in 3 acres of rough hill land. 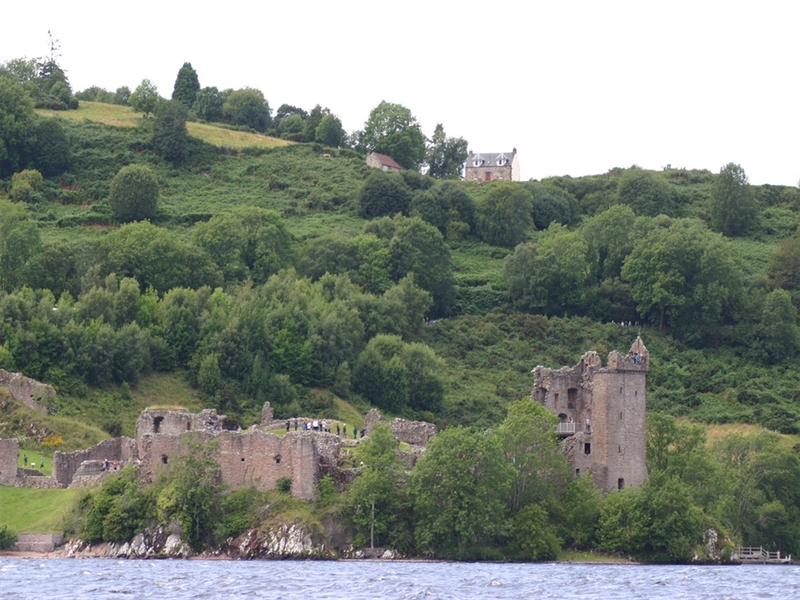 There are sites, possibly ancient siege works, currently under archaeological investigation by Historic Environment Scotland in Edinburgh. 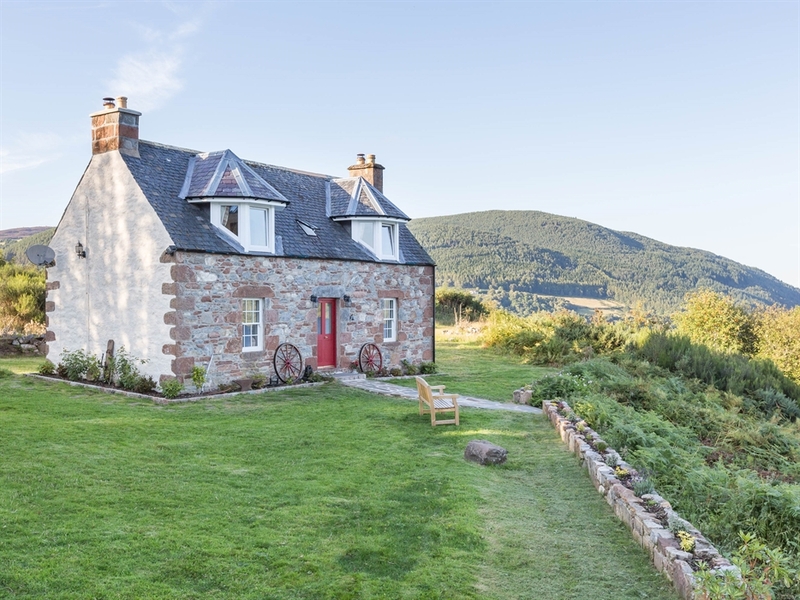 The property was the subject of a 3 page design feature in Scotland on Sundays “Homes & More” property magazine in May 2017 (entitled No Stone Unturned). 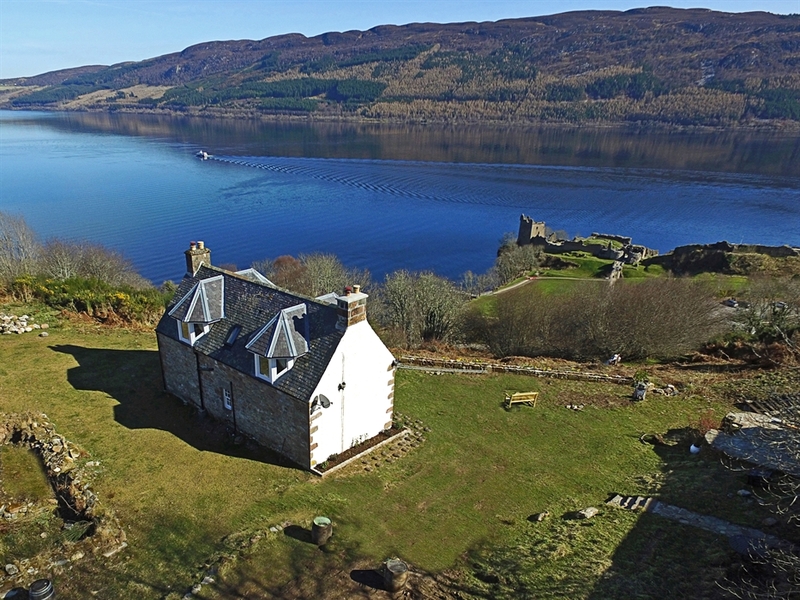 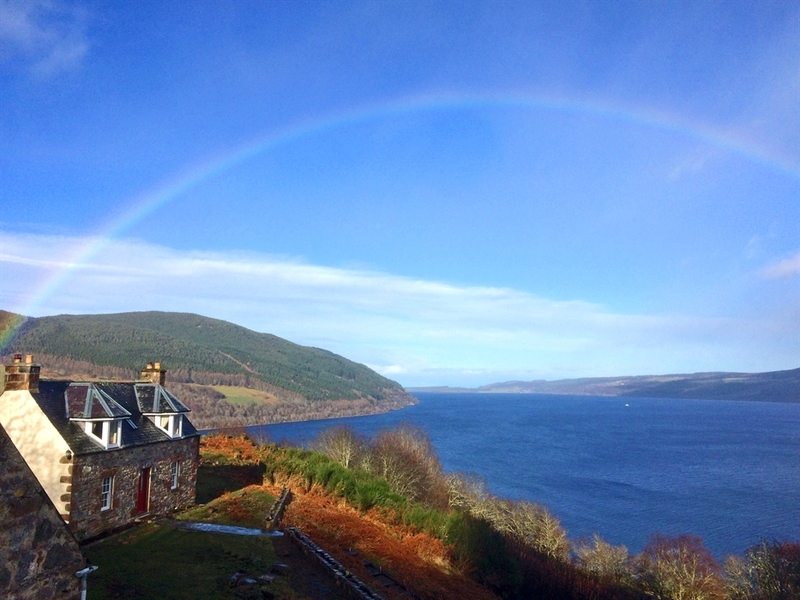 In a single month during January 2018 the property was featured in the UK national newspaper “The Daily Mail” (Lochation Lochation Lochation) and the Scottish newspaper “The Press & Journal” (Cottage perfect lair from where to look for Nessie) as well as the “Travel & Leisure” magazine from the United States (Spot the Loch Ness Monster from Bed in this Cozy Scottish Cottage) and the leading independent news and picture agency in Scotland, “deadlinenews.com ” (Ultimate holiday destination for Nessie Hunters). 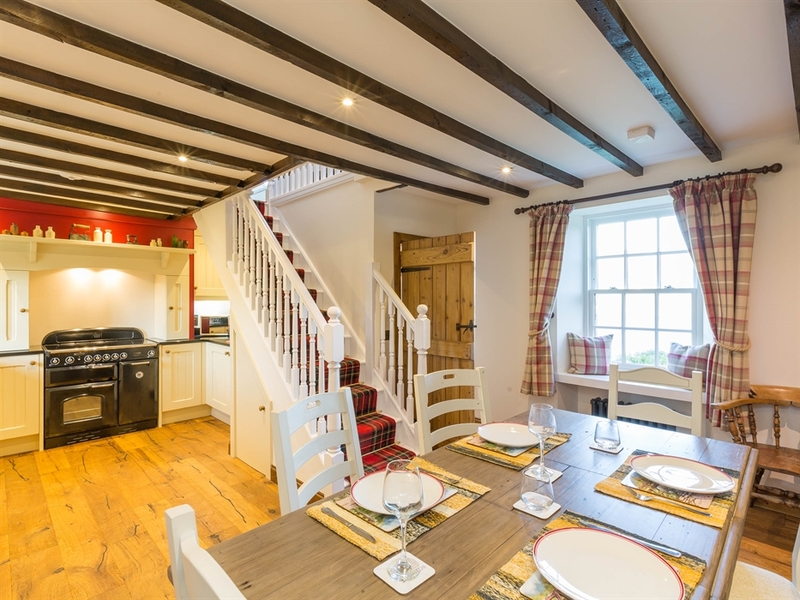 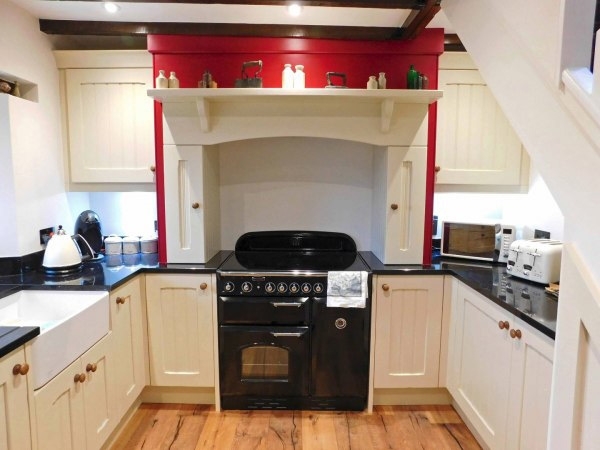 The open plan kitchen/dining area has been refurbished with beautiful oak flooring and boasts a Rangemaster oven with induction hob which is sure to be loved any serious cooks. 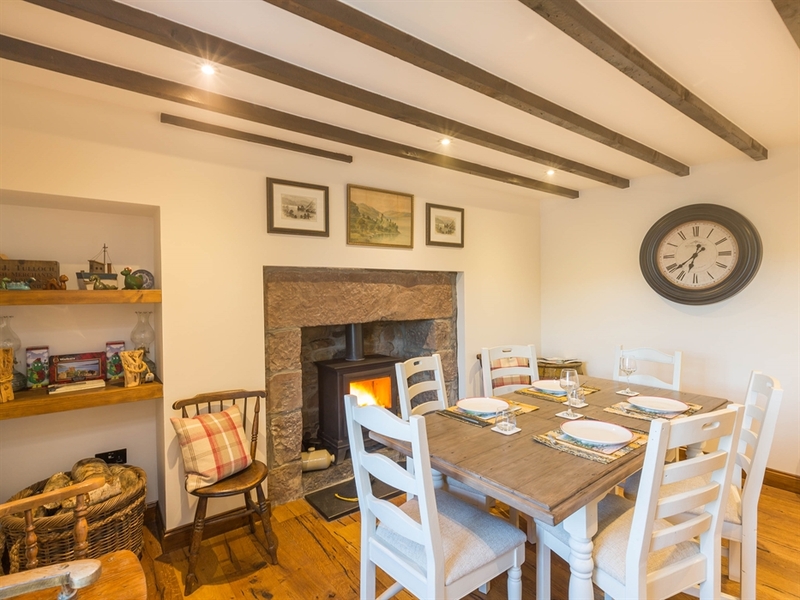 The large original sandstone lintel over the fireplace compliments the newly exposed ceiling beams warmed by a generously sized classic wood burning stove. 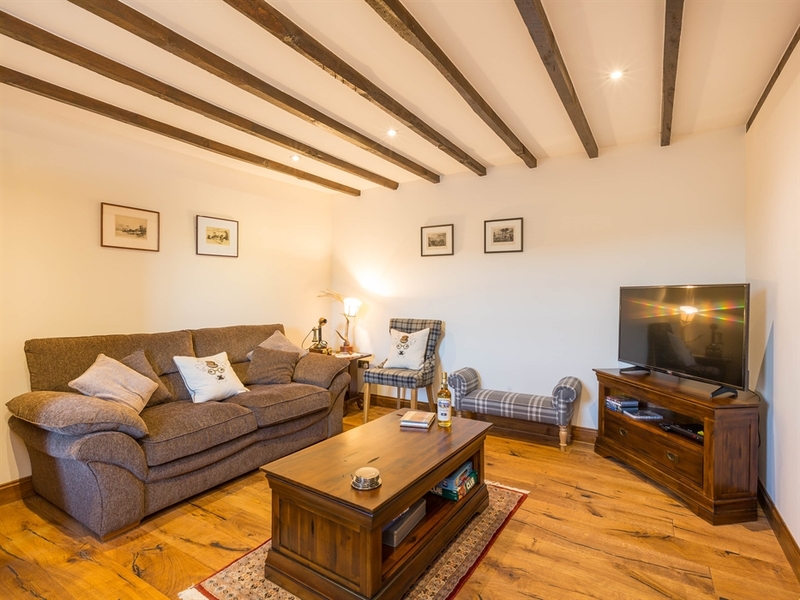 The sitting room has the same oak flooring, exposed beams, recovered sandstone lintel and wood burner as the kitchen and has been furnished tastefully with luxuriously comfortable couches and tartan chairs and stools that you can sink into at the end of each day. 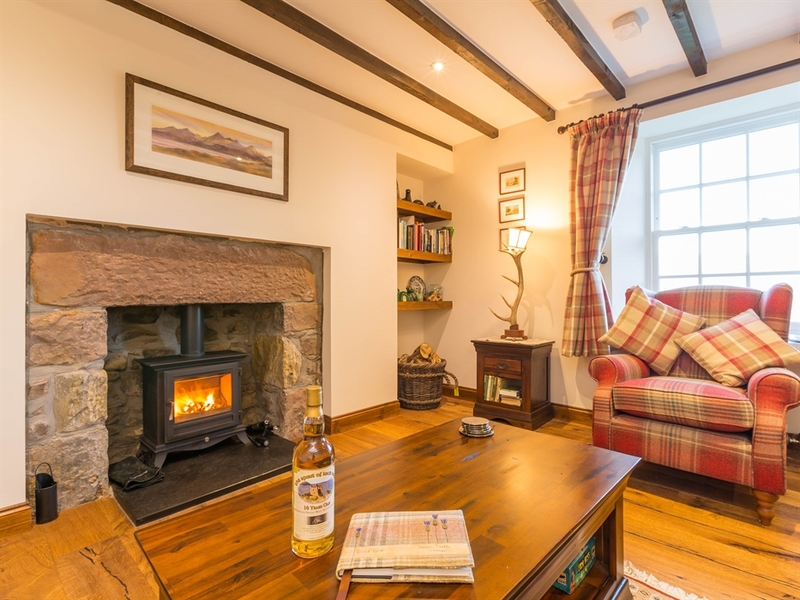 Put some beech logs or peat on the fire and relax reading one of over 50 rare books available on the history of the area and the monster, watch one of over 30 Scottish classic movie DVDs or play one of the numerous board games available with a dram in hand or just relax in front of the large television to catch up on what’s going on in the outside world. 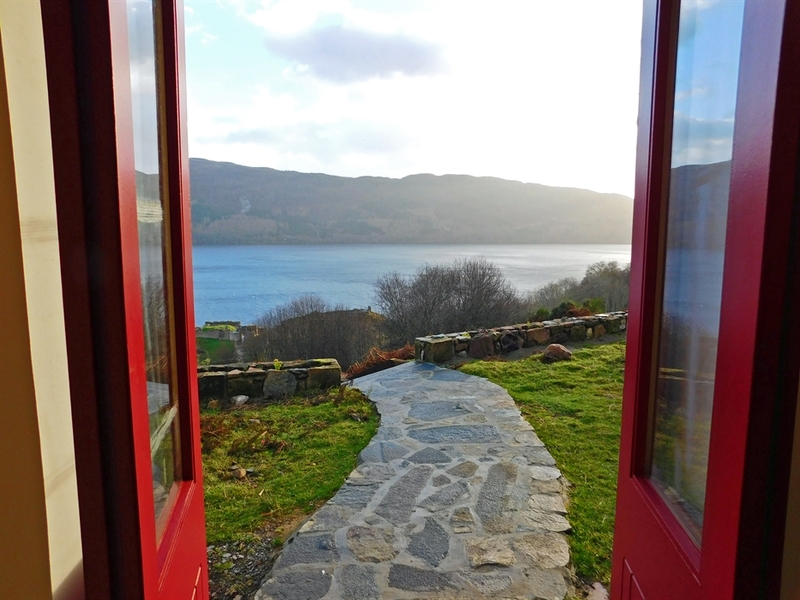 Limited mobile WiFi is also available throughout the cottage for those with a greater desire to keep in touch with anything and everything. 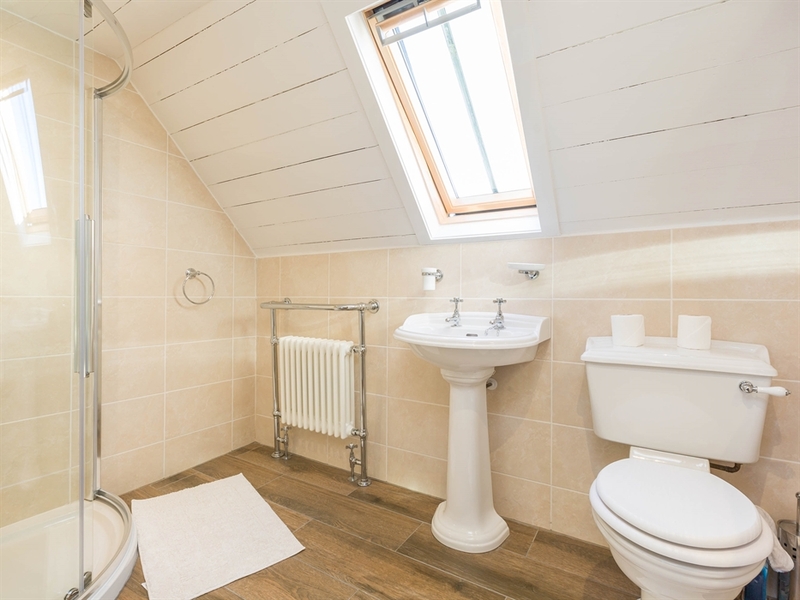 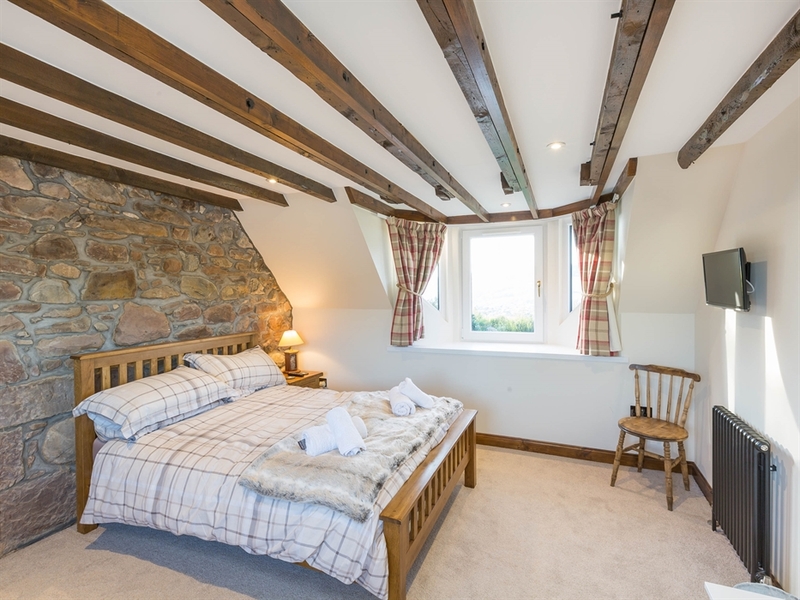 Upstairs both bedrooms take advantage of the amazing views on offer. 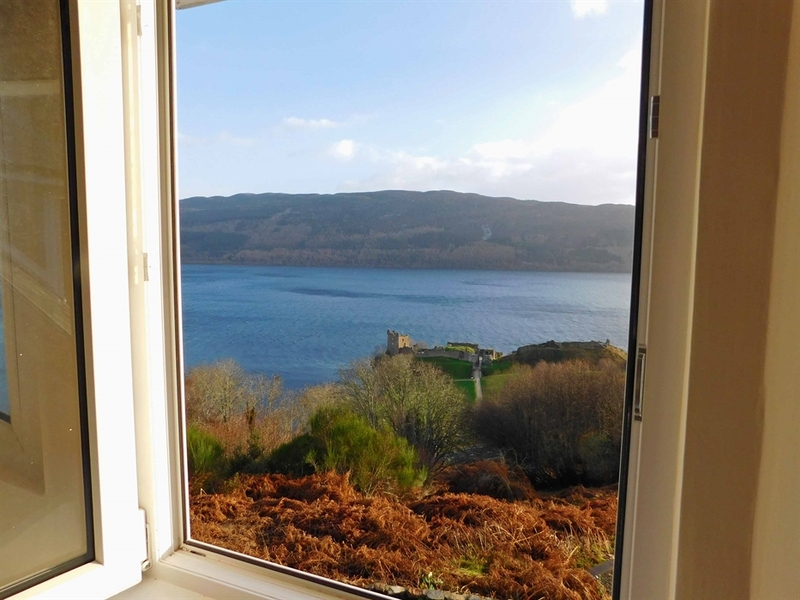 Newly installed wrap around dormer windows upstairs provide uniquely spectacular panoramic views up and down the loch as well as directly over the castle which when lit up at night completely fill the windows while those on the back look all the way down beautiful Glen Urquhart. 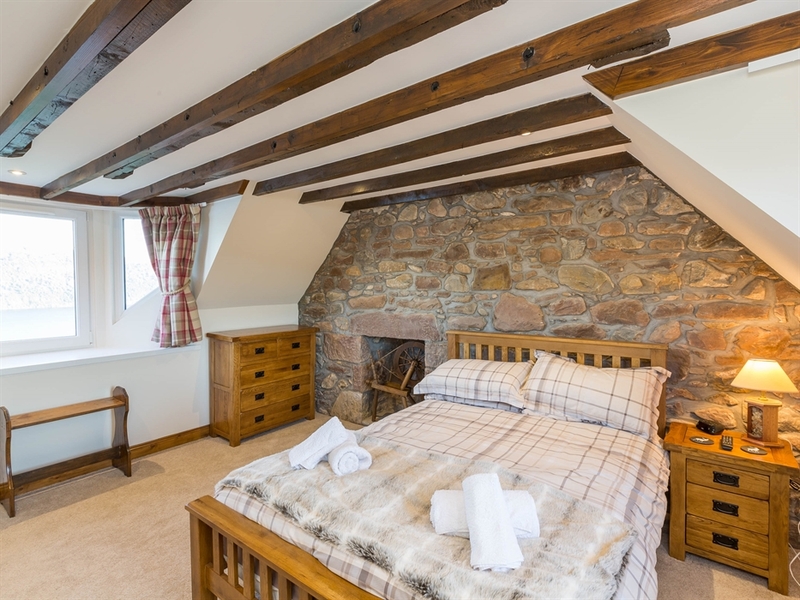 Each of the bedrooms has been sympathetically decorated keeping the traditional pointed stone structure on the gable walls as a feature while again exposing the wooden ceiling beams while the tartan curtains and lavish check patterned bedding pay homage to the cottages Highland heritage. 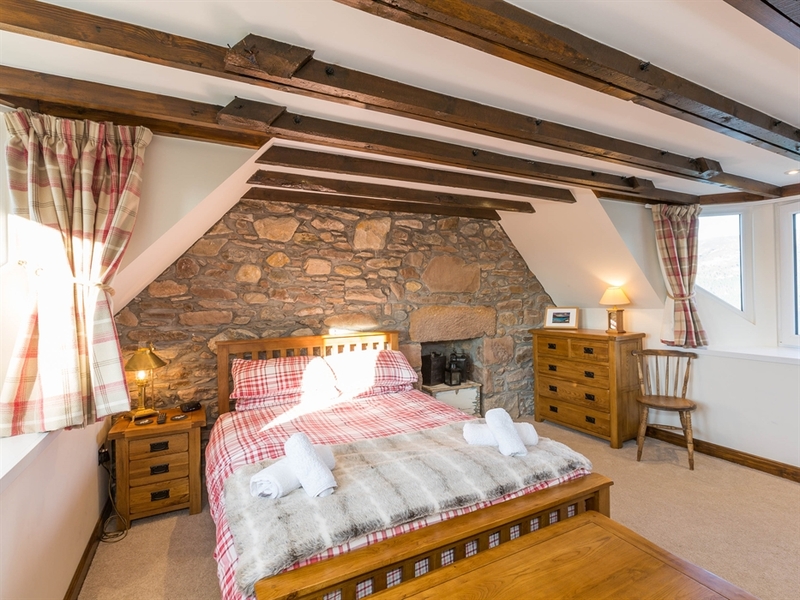 The cottage contains some unique pieces of handmade furniture and décor; antique meal girnels, stag antler lamps, highland cow horns, railway carriage coat hook shelves, pig hot water bottle and old irons located downstairs with a spinning wheel and church pew seat upstairs. 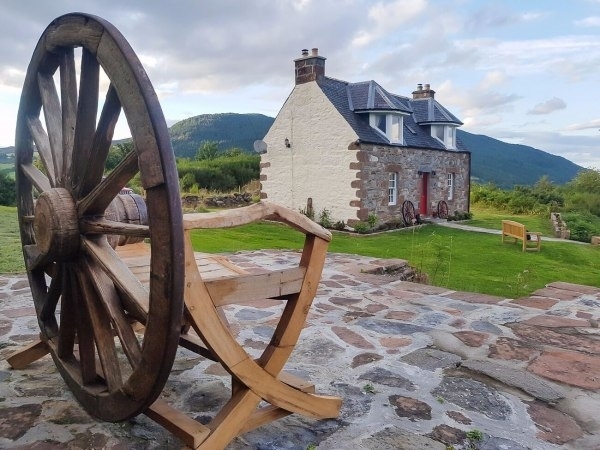 Outside there are antique Avery weights, Highland scythes, mill stones, whisky barrels, lobster creels, an anvil and granite rollers to complete the rustic croft feel. 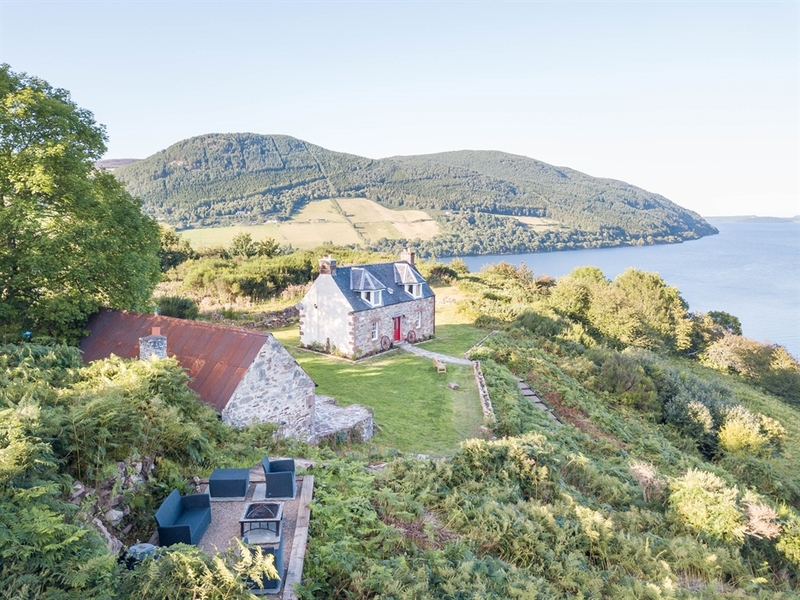 The property grounds have several purpose made viewing points where you can spend the day to make the most of the various breath taking views with accompanying gardening furniture and a barbeque. 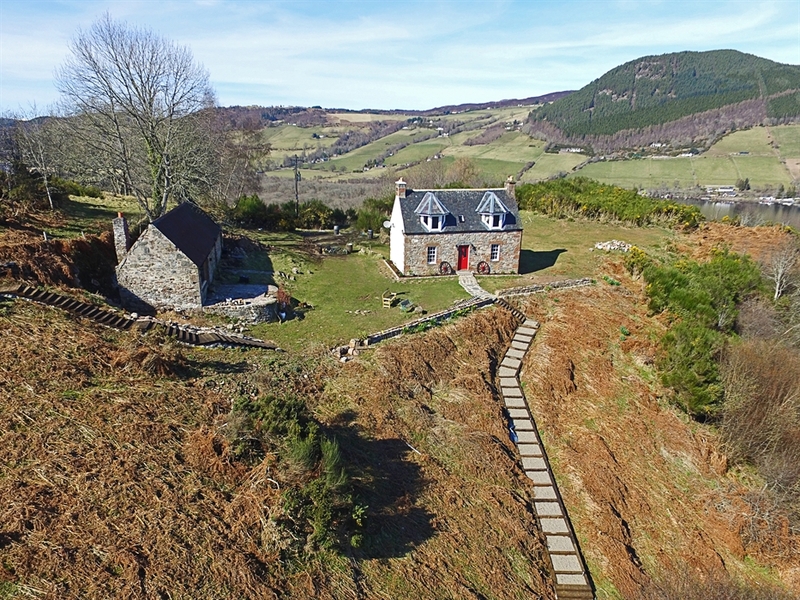 Numerous Roe deer and pheasants can be seen regularly in the garden and the Loch itself is in constant motion throughout the year. 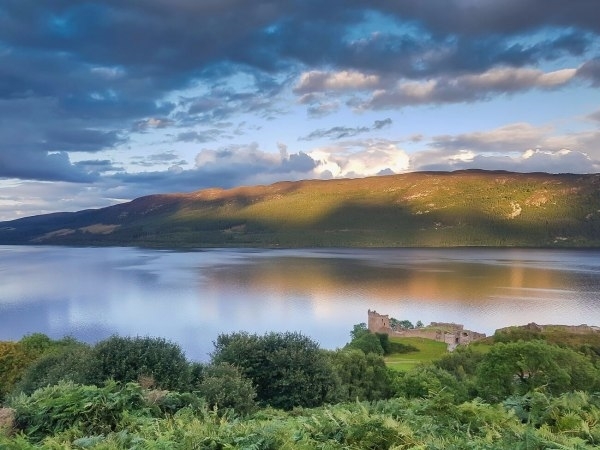 When not scouring the loch for the monster, there are always boats of all types and sizes, as well as daily fly pasts from RAF Lossiemouth with Tornadoes, Typhoons and occasionally two Nimrods all of which fly below the level of the property. 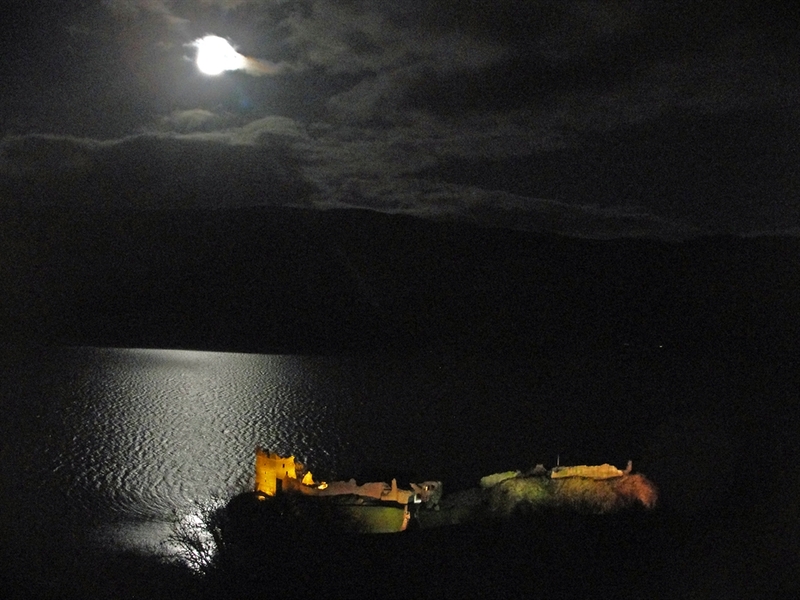 The Coastguard and Mountain Rescue Sea King helicopters can also be regularly observed doing their exercises.